Birdie opportunity. 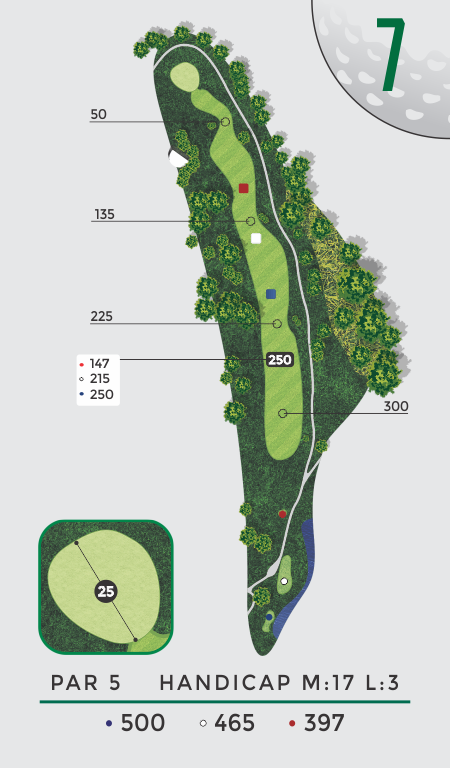 Avoid tree trouble down the left side all the way to the green. A decent tee ball will leave fairway wood into an easily approachable green. Watch out for out-of-bounds right and long on your second shot.